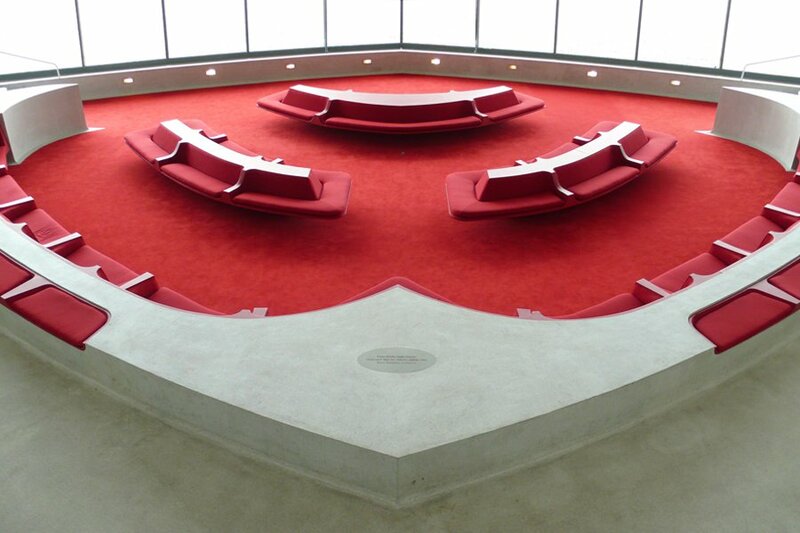 The legendary TWA Flight Center at JFK airport is back. All photos by Maggie Morris. 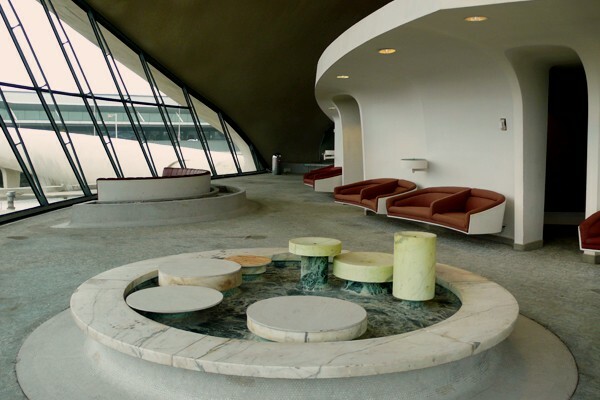 This weekend, after a magnificent restoration, visitors will get to experience the legendary TWA Flight Center at JFK airport during Open House New York. Maggie Morris got a look around. NEW YORK CITY — There was a time when commercial flying was a modern and glamorous event. So au courant that passengers dressed to the nines for a flight. So chic that even non-passengers would head to the airport for the atmosphere: stylish lounges, people watching, and the sight of planes coming and going. Back then, IDs were never checked at the door, but life insurance was sold at the ticket counter. Times have changed. On October 7 as a part of the , visitors will have the rare opportunity to experience a sliver of that bygone time in travel. 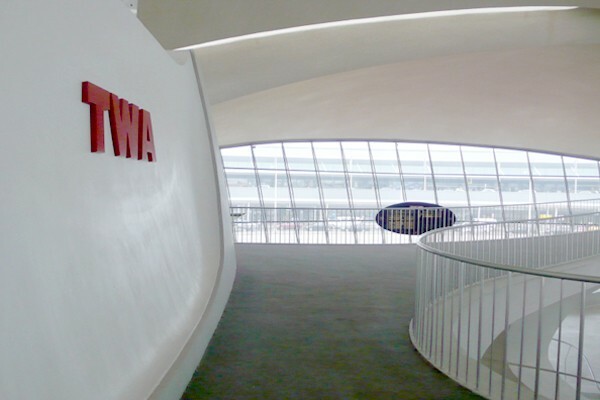 The newly restored TWA Flight Center at John F. Kennedy airport in New York City — one of the most iconic buildings of modern architecture — opens briefly to the public. Top: A view toward the entrance from the upper lobby as seen in 1963. Scanned from , by George W. Cearly, Jr. Bottom: The same space today. 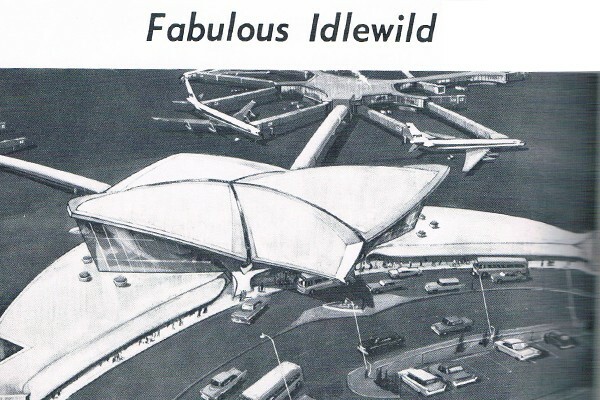 In 1956, TWA commissioned Eero Saarinen, the Finnish-American architect and industrial designer, to design its flight center at Idlewild (renamed JFK in 1963). 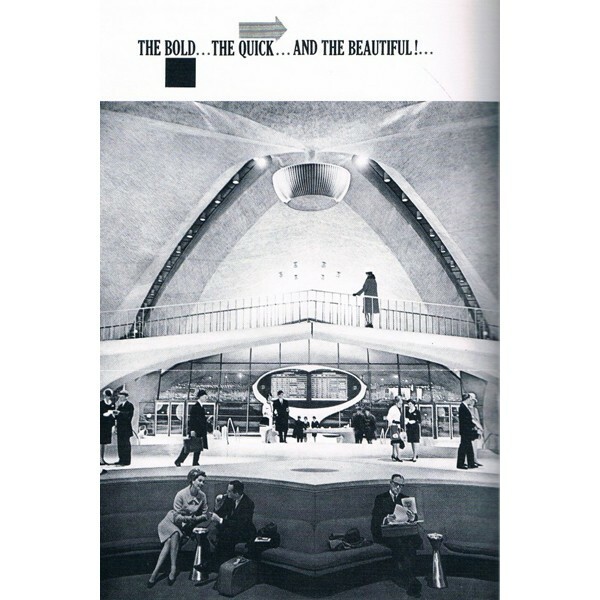 Saarinen's goal was to epitomize the spirit of flight, of modern-age travel, architecturally. The result was a masterpiece. Opened in 1962, the bird-like concrete and glass structure envelops visitors in a swooping, cloudlike interior covered in more than five million dime-sized porcelain tiles. The walls undulate and disappear into the floor. A chic Louboutin-red lounge area sits between two round tubes leading to the jets. Arrival and departure times are set into an oval sculpture that reminds me of E.T. 's head. The unrenovated (but still beautiful) Ambassador's Lounge with Eames seating and the remains of a Noguchi fountain. Upstairs, the first class lounge is dotted with Charles Eames loveseats and a Noguchi fountain. 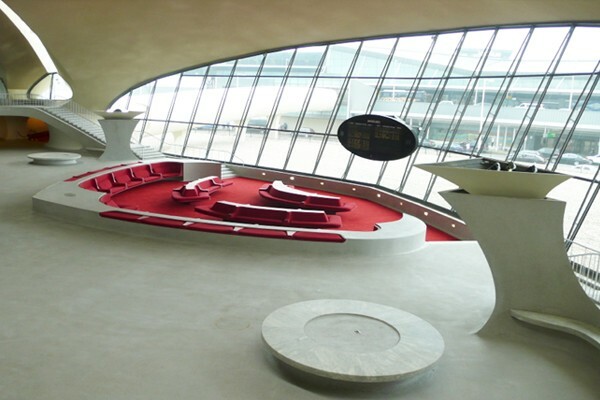 More than a building, Saarinen carved a fully designed experience for the traveler, gracefully transporting passengers from the ground to the sky and back again. Unfortunately, by the time the building was completed, it was already obsolete. The newest innovation in travel, the 747, was too large to be accessed by the building. But that was just the first of many harsh practicalities. The building was frequently modified over the years to accommodate the growing volume of travelers and changes in air travel. 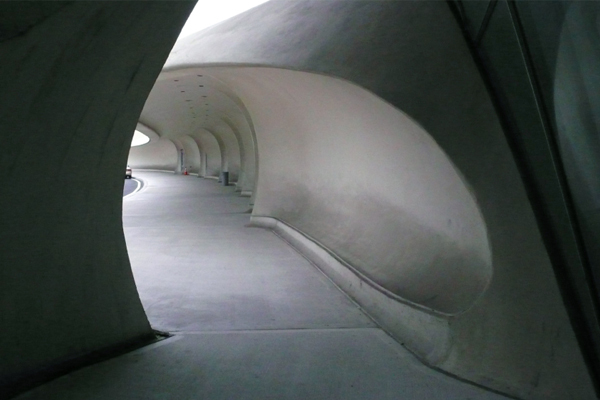 Increasing safety and security measures also chipped away at Saarinen's original vision. 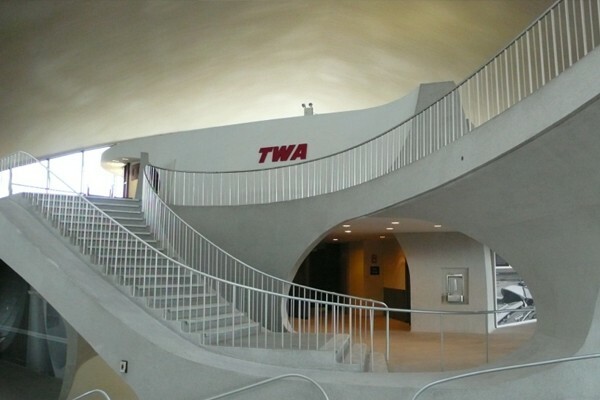 Operations ceased entirely in 2001, and the TWA terminal has since been deemed a National Landmark. The Port Authority of NY and NJ solely funded the $20 million renovation that has been conducted over several years by . 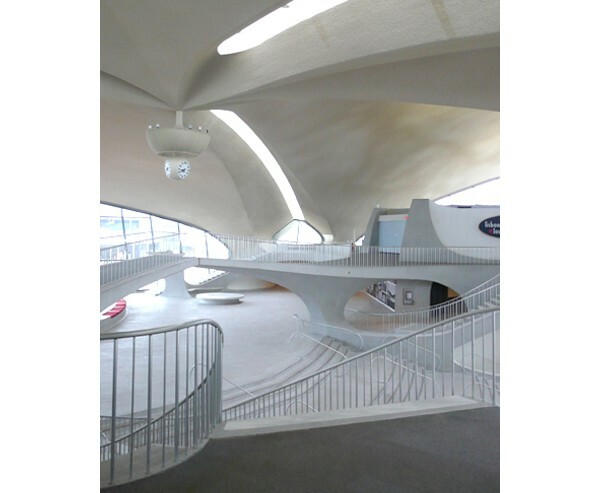 After OHNY weekend, plans to open a boutique hotel in the terminal will be finalized and the building will eventually host a permanent exhibit showcasing its history, the significance of TWA, and the history of Idlewild/JFK. 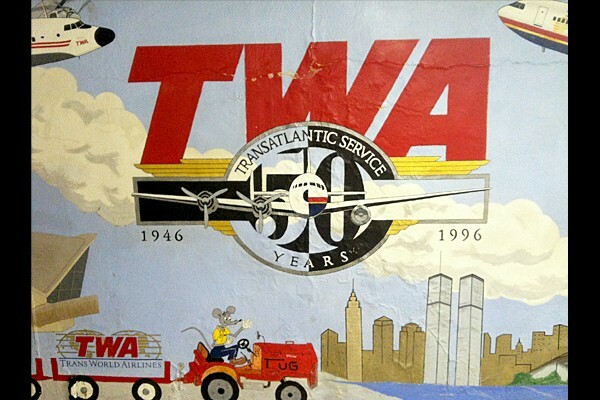 Another scan from , by George W. Cearly, Jr.
A mural painted by a TWA employee in the basement break room. Note the depitction of the TWA employee as a rat driving a cart and Gumby's pal Pokey under the bridge. 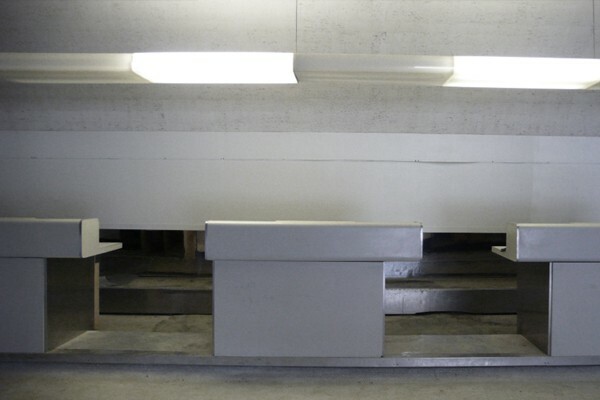 An unrenovated section: the ticket counters in the basement. I grew up in and around airports, rarely as a passenger but instead with a backstage pass to airport operations. My father worked for the Port Authority for over 50 years, mostly at Newark Airport. I frequently went with him to work-he taught me how to drive in a Port Authority Plymouth on a taxiway. For hours on end, we would watch takeoffs and landings from his office, and while he pointed out technical specifications of the aircraft, I fantasized about one day visiting places far, far away from Newark, New Jersey. His obsession with and vast historical knowledge of aviation made him a go-to source for many, including Charles Kramer, one of the architects on the Saarinen project and a friend of my father's. Kramer had consulted him 20 years ago on Newark's Building 1 Renovation, the first passenger terminal on the east coast. 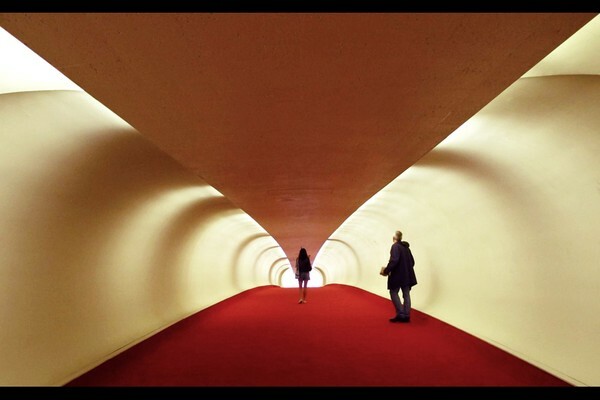 Two years ago, Charlie invited my father to visit the Saarinen renovations in progress. My father was dying at this time and insisted that I go in his place, ordering me to "take pictures of everything." 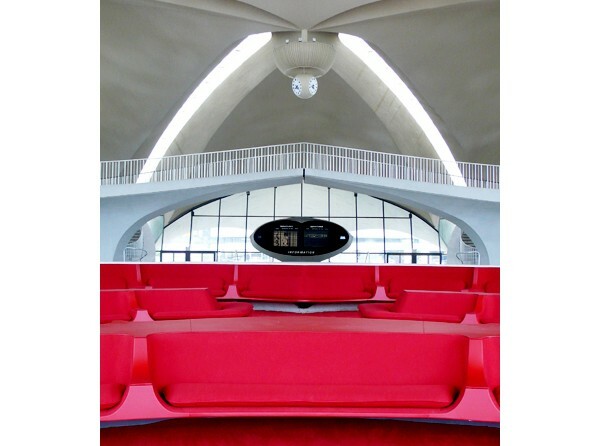 When I returned, the images of Saarinen's building evoked for him memories of the magic and fun of flying. The author and architect Charles Kramer in one of the flight tubes. Photo by Tom Richmond. That — as well as Saarinen's original vision — is exactly what I experienced when Kramer gave me a preview of what the public will see during this exhibition. Walking through the building, I was struck by how aesthetically uninspired the surrounding Jet Blue travel center — and, frankly, most airports I've ever passed through — appeared in contrast with Saarinen's TWA Terminal. Passengers today are corralled through security followed by mall-like corridors of snacks and shops that are short on style and have all the ambiance of a suburban food court. For so many reasons, we don't get to experience the thrill of travel that existed 50 years ago. Flying is no longer a special occasion. Air safety is fraught. TWA, along with Pan Am — the two airlines that symbolized and created the glamour days of travel (in myth and in reality) — don't even exist anymore. But for a brief moment while walking through the empty, restored terminal, I could pretend the myth was real. And it made me yearn for a time when my airline ticket afforded me not only access to a new part of the world, but a journey at every moment — a pause in an Eames sofa near a Noguchi fountain beneath a curtain of glass with a view of the sky. is a creative director and explorer. She travels for the thrill of the escape.